Below you can find an alphabetical list of the cricket clubs that participate in the SCCA’s regular Saturday competitions. Details include contact information, home ground and number of teams, as well as a brief club outline. If you are moving to the district and are keen to play or be involved with cricket, any of these clubs would only be too pleased to welcome you. 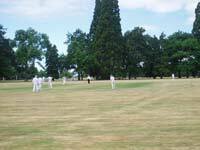 The Celtic Cricket club is affiliated to the South Canterbury Cricket Association. It fields 3 adult sides and 7 JAB teams, with an abundance of players being selected for representative sides. This season Geraldine has strengthened their numbers fielding Second Grade A & B teams, a Fourth Grade side and four JAB level teams. Cricket has been played in the Pleasant Point area since 1879 and the Pleasant Point Cricket Club was incorporated in 2014. Currently the clubs playing strength is seven junior teams and two afternoon grade teams including a senior grade team this year. The Club has good practice nets and play home games at the Pleasant Point Domain. The Pleasant Point Cricket Club has a strong emphasis on developing a strong cricket culture from youth through to senior cricket in our community. 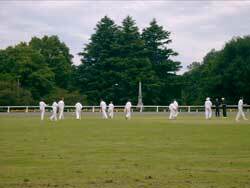 The Star Cricket Club is based in Timaru and formed in 1921. Originally we were based on the north side of Ashbury Park, but from the 2010-2011 season we have been based at Mountainview High School continuing the relationship we have built with the school over the years. We have 3 afternoon grade teams, in the Senior, Second Grade A and B. Check out our Facebook page for up to date news. The Temuka Cricket Club was officially constituted in October 1884 and this year Temuka will be celebrating 125 years as a club. All past or present members and supporters of the cricket club who are interested in participating in the Jubilee to be held over Labour Weekend 2009 should register to do so at the first opportunity. Details about how to register and other details will be posted here and on the Temuka Cricket Club website as they become available. 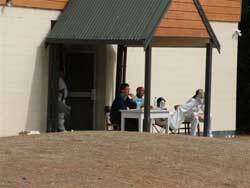 Timaru Cricket club welcomes all past, present and new players, members and supporters to our fun friendly environment. We are one of New Zealand’s oldest clubs established in 1863 with a rich history that we are very proud of. There are currently six teams entered in various grades in the local South Canterbury Cricket competitions from Senior to JAB. Please feel free to contact us from any of the information below. You can also find us on Facebook under Timaru Cricket Club. Anyone is free to come down to our home ground at the Briscoes end of Ashbury Park and enjoy the day watching, playing or relaxing in the lounge of our clubrooms. Be you a past, present or future player come down and make yourself known. Cricket was established in the Waimate District in 1882 and in 2007 Waimate celebrated 125 years of cricket in the District. Past and present members participated in the Jubilee celebrations which included a get together, formal dinner with Guest Speaker Shayne O’Connor and a Twenty/20 past versus present cricket match. The weather was brilliant and the club started the weekend well by winning all their matches in the local competition. In the beginning Waimate held its own competition, and this would last until 1971 when due mainly to the decline in the membership of most clubs it was decided at a special meeting to wind up the then Waimate Sub-Association. A new club was formed under the name of Waimate and two teams were entered in the South Canterbury competition. Today 38 years on, Waimate has senior, second grade and fourth grade sides in the men’s competitions as well as a JAB side and a ladies team in the SC competition.